Globally unique 64-Bit serial number for temperature probe. 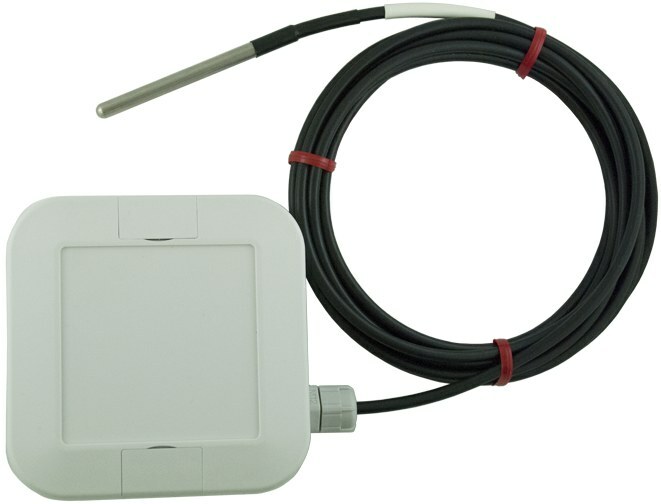 The MeshNet Wireless Weatherproof Temperature Probe, MN-ENV-H-X-WP, features our Gen 2 sensor technology which offers superior environmental monitoring reliability & performance in an easily deployed system. 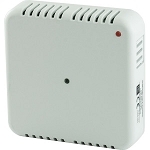 This sensor utilizes the 2.4GHz frequency range which allows for global usage. The ruggedized wireless sensor is housed in an IP67 weatherproof enclosure with a waterproof stainless steel temperature probe. It is an ideal solution for installing in freezers, refrigerators, and other wet environments. 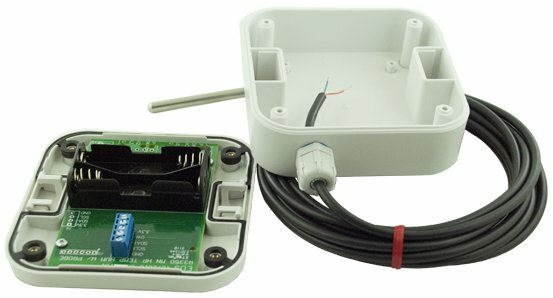 Like other MeshNet Gen 2 sensors, the MN-ENV-H-X-WP features a more powerful radio which increases its transmission range by an order of magnitude (10x). Our MeshNet Generation 2 sensor technology utilizes a multi-pronged approach to provide great reliability. 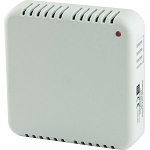 It prevents data gaps and enables the Generation 2 MeshNet sensor to provide a complete log of your temperature data in spite of data interruptions such as; power outages, network failures, or other obstructions. Sensors buffer data - If a failed transmission occurs, the sensor immediately begins buffering critical sensor data within its internal memory. The buffer's capacity is sufficient to log temperature data for up to 21.3 days at a 15 minute logging rate. Sensors scan and hop frequencies - If a failed transmission occurs, sensors then search available channels for the MeshNet Controller. The MeshNet Controller will hop frequencies which allow the system to navigate to less trafficked bands as the radio environment changes. Select the sensor when it appears and then click "OK" on the pop-up prompt. The single probe input may be increased to either two or three inputs. 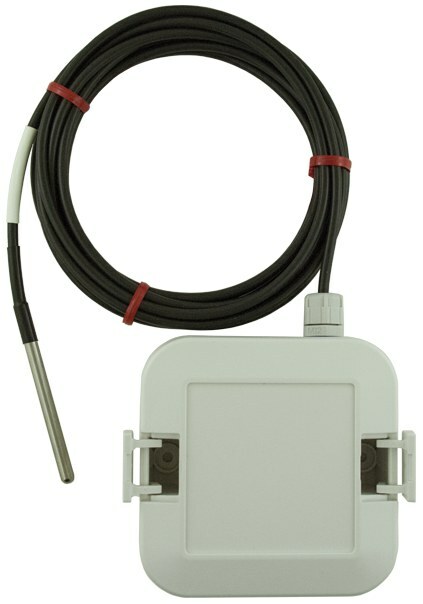 The cable length (12ft default) of the temperature probe may also be reduced or extended. Our Foil Tape temperature sensor is an alternative for the stainless steel probe.